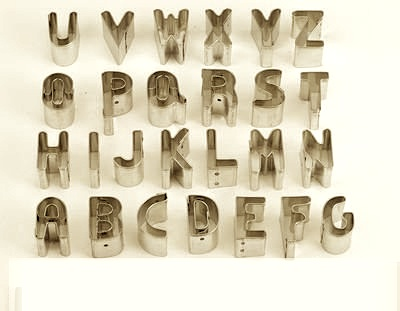 This cute mini Alphabet Cookie Cutter Set comes in a metal tin for easy storage! Set of 26 letters. Each cookie cutter measures 1"